We love all beer styles so we don’t want to pin ourselves down to a range of a few different beers. How could we when there are so many different styles and then variations that you can make within them. We want to be able to try and brew anything as long as it ends up tasting great that’s the important thing. This will inevitably lead to some disaster batches along the way we’re sure, but if its terrible we wont be releasing it. It’s worth the risk trying to find new exciting beers that do work. We are huge hop heads and these styles are a staple part of our beery diet. 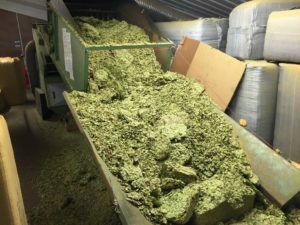 You can expect a lot of these with variations of all the different hops we can get our hands on and by the bucket load. From light hoppy pale ales, that we hope can convert any mainstream lager drinker into a craft beer aficionado, to huge resinous bitter double IPA’s. We hope to have something to suppress any hop addicts cravings. We are big fans of the farmhouse style, with the yeast giving the beer a dryness that we love as well as adding peppery herbal flavours that mixed with the hops and sometimes herbs, spices, orange peel, leaving a great tasting refreshing beer that’s full of flavour. From normal to imperial you have to love a stout. Lots of people always say they don’t like dark beers but we think they just haven’t been drinking the right ones. With big robust yet well rounded flavours like coffee, chocolate, liquorice and molasses, tied in with delicious roasted barley and an amazing mouth feel, what’s not to like? And going onwards… whatever the style, as long as it tastes great. We are also big believers of the oak barrel. We aren’t going to lie our experience here is very low but we are always researching, trying to absorb as much as we can. As soon as we’re able to we want to start our own barrel program. We have had amazing beers from great breweries in the past and thought it doesn’t get better than this, then we had that same beer months later that’s been barrel aged and had our minds completely blown. That’s all the evidence we need to taste, to know we want in. Our latest and greatest addiction we literally cannot get enough of these beers. From the faster, simpler, kettle sours (infected with lactobacillus until sour 1-3 days(ish) then boiled and brewed as normal) to brettanomyces, lactobacillus, pediococcus infected barrel aged works of art. We love these beers so much that it would make no sense for us not to try to brew them ourselves, we are already experimenting on a home brew scale. We currently have a 100% brettanomyces fermentation going and we are way too excited to see how it turns out. So in short we have a hell of a lot of work to do and are most likely biting off way more than we can chew but we’re going to do our best to make it work and hopefully make some great beers. Picture from our visit to Charles Faram to secure our hops. Looking forward to trying my favourite type(s) of beer brewed in Brum. I have had the privilege of drinking some of Richards and Chris’s beers already and as a lager drinker for 30 years their ingredients/beers have changed my taste buds and have been a refreshing change. Look forward to tasting some great beers. Good luck lads.